After starting his career in aviation maintenance with TEAM Aer Lingus in 1998, completing his apprenticeship and graduating from Dublin Institute of Technology with Merit in Aircraft Maintenance Engineering. Diarmuid set out on a typical journeyman endeavour, travelling and working his way around Europe expanding his knowledge in both commercial and business aviation. Several years followed contracting and working with various organisations throughout the UK and Continental Europe including Jet Aviation, SAS Teknisk, Lufthansa Technik, and Fokker Elmo before finally relocating to Hong Kong with Metrojet in 2010. 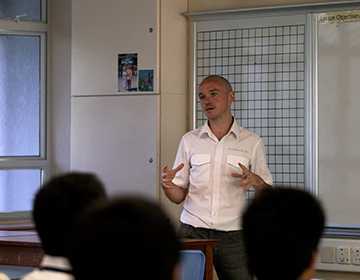 Diarmuid has been employed in Hongkong Jet’s Engineering Department since 2012, gradually rising through the ranks to assume his current position as Head of Maintenance. He holds multiple Aviation Maintenance Licenses incl. EASA B1, HKCAD B1, and FAA A&P with ratings on Gulfstream G450, G550 and G650, Bombardier Global and Challenger, Airbus A320 Family, and Cessna Citation aircraft types.